All hair clips are handmade, and may vary slightly from what is pictured. Clippies should not be used on babies due to the small parts with which they are made. Young children who still put things in their mouths should be watched VERY CLOSELY if using these clippies. A double layered heart of the color of your choice on a matching lined alligator clip. 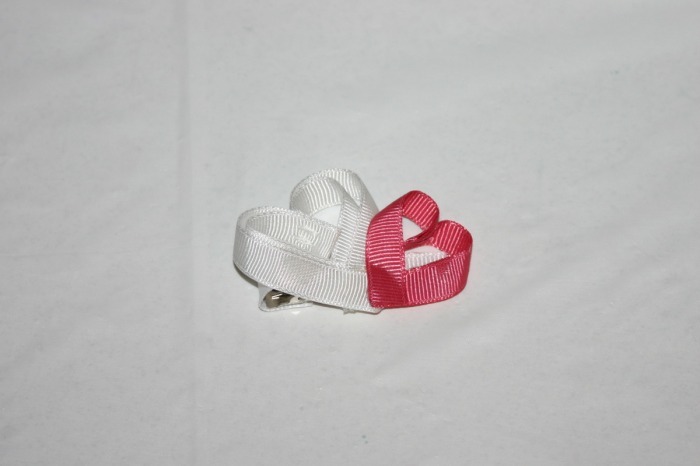 White double layered heart with a smaller pink single layer heart on a white lined alligator clip. A perfect way to celebrate Turkey Day! Turkey has "tail feathers" in the colors of yellow, orange and red. He has a brown body and an orange beak. 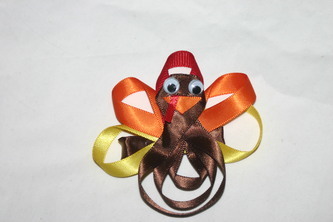 And what turkey would be complete without a red snood on his beak? Turkey also has black googly eyes. He's on a brown lined alligator clip. Pretty flower clippie with maroon petals and a yellow center. A green leaf sticks out from the side. 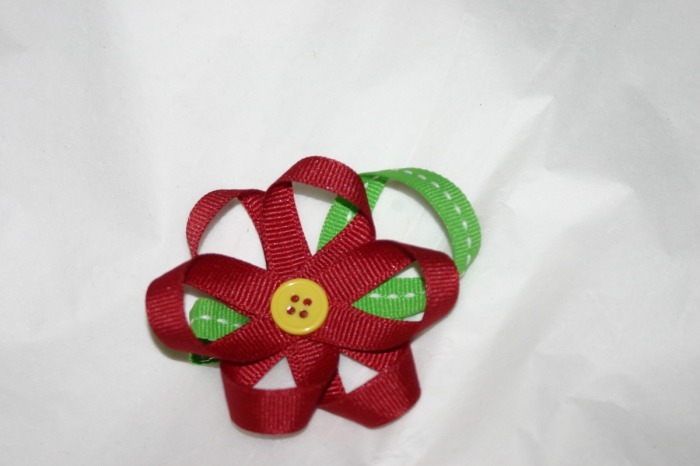 Flower is on a green lined alligator clip. Cute penguin hair clippie perfect for frosty days. Black penguin with white and yellow belly. Orange beak and orange feet. Googly eyes so that he can see what's going on around him. 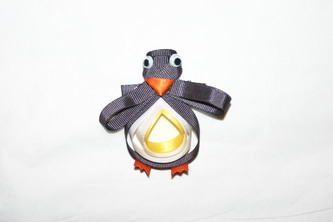 Penguin is on a black lined alligator clip. Tree is made up of four tiers. A yellow start sits at the top of the tree. The brown trunk of the tree is the actual hair clippie. Orientation of the clippie is vertical as opposed to the "normal" horizontal style of the other clippies. Just about two inches tall. 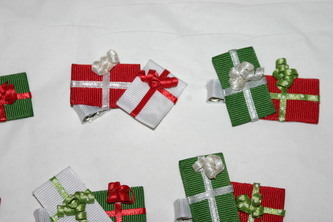 Cute little presents all wrapped up with a bow! 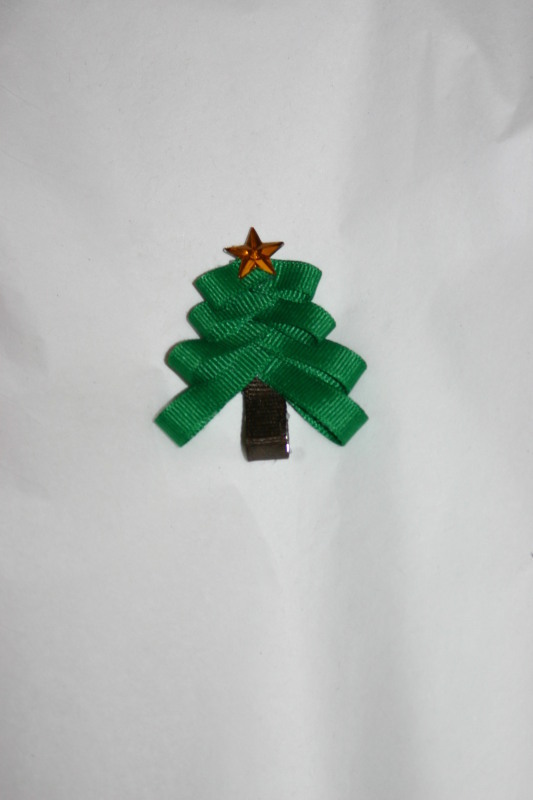 Each clippie has two presents on it. Presents have ribbon and curly bows on them. So cute and so festive! Approx 2 inches in length. Red Grossgrain bow approx three inches across. 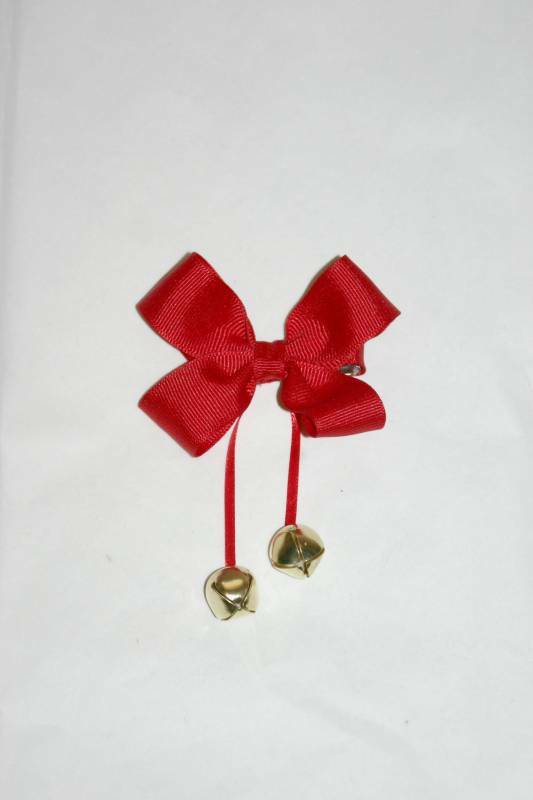 Bow has two jingle bells that hang down. 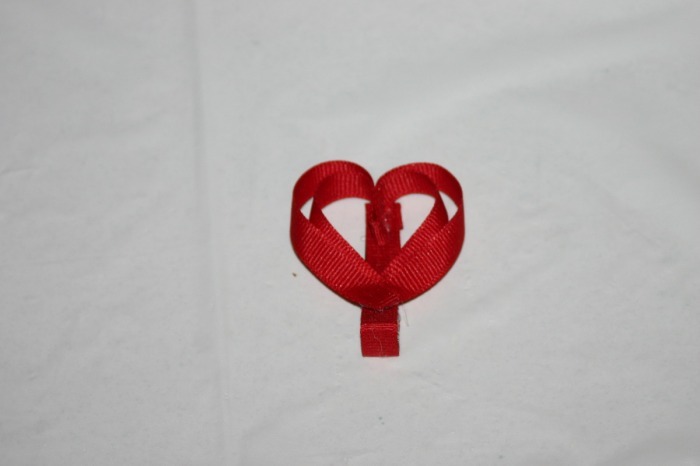 Your little one will LOVE it! It's music to everyone's ears! 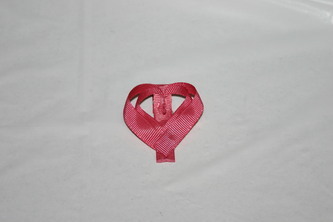 On a red lined alligator clip.